Sat., Feb. 4, 2017, 7 a.m.
BOISE – Bird lovers in Idaho are worried that an unusually cold and snowy winter may have harmed or killed some of the Anna’s hummingbirds that spend the winter in there despite the chilly climate. Some bird lovers who feed the hummingbirds say they haven’t spotted one since mid-December and the last reported sighting of the tiny ruby-throated birds was on Jan. 2, according to the Idaho Statesman reported Saturday. Temperatures as low as -11 have been recorded at the Boise airport. 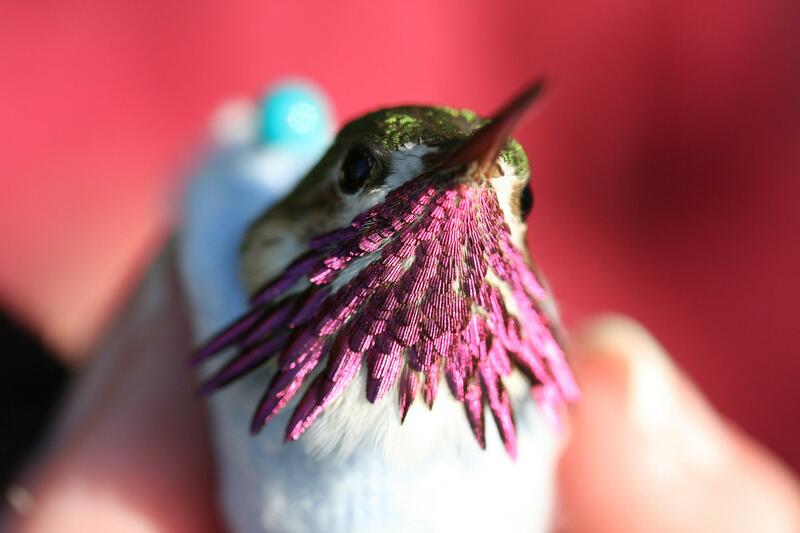 “We don’t have evidence they died off but I do suspect some of them did die,” said Heidi Ware, education and outreach director at the Intermountain Bird Observatory, an academic research and outreach program of Boise State University. Last winter, Idaho bird-watchers spotted 55 Anna’s hummingbirds, with most observed in Southwest Idaho and the Panhandle. This winter, 37 of the birds were noted. About two-thirds of the birds disappeared around mid-December last year as well, so it’s unknown if there are fewer only because of the unusual weather. Last February, some of the birds that left returned – then departed again in March. There have been five days below zero in January, with the lowest recorded temperature at the Boise Airport dropping to -11. One bird-watcher who lives in the Garden City area saw an Anna’s Hummingbird in his yard in December, when the thermometer at his house read -8. In general, birds try to consume enough food during the day to have enough fat to shiver through the night, Ware said. Hummingbirds go into “torpor,” a state of hibernation that allows them to burn less energy than other birds that don’t. The birds were first documented in Southern California in the early 1900s. Their range expanded to northern California by the 1950s, and then as far as Oregon and Washington by the 1960s and 1970s. The first Anna’s sightings in Idaho were in the mid-1970s and researchers now band the hummingbirds in Idaho to study their breeding and migration patterns. “They’re adapting and getting whatever resources they can get,” Ware said. Published: Feb. 4, 2017, 7 a.m.